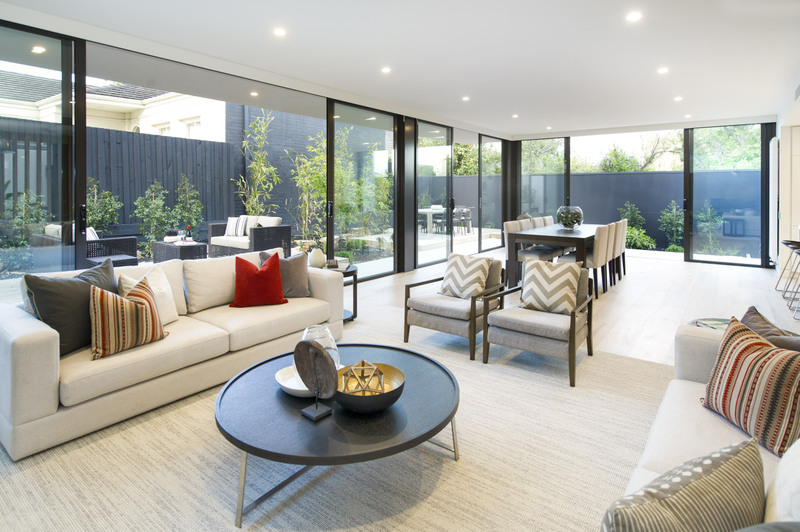 Four large luxury townhouses located in Kew, VIC featuring our gorgeous carpet Kennedy Point have won big at the Boroondara Urban Design Awards. Designed and constructed by Virgon Property Group, the townhouses were awarded Best Multi-dwelling Residential Development in June this year. Nominated designs were assessed against a set of criteria that are industry benchmark standards including good fit for context, innovation and creativity, access, sustainability, and landscape design. The judging panel included Boroondara councillors and urban design experts. 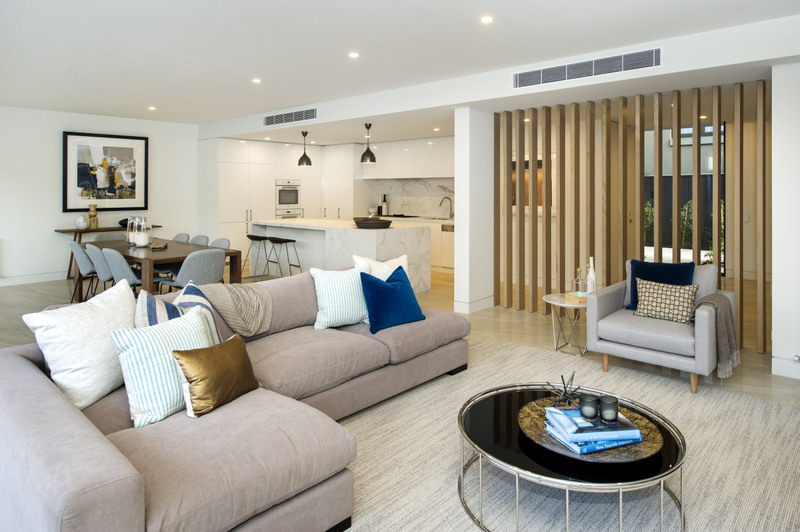 Partnering with Kate Walker Design, an interior design firm who specialise in stunning high-end residential and commercial projects - the townhouses, built over 3-levels, boast a range of beautiful finishes that are nothing short of exceptional (if we don't mind saying so ourselves!). 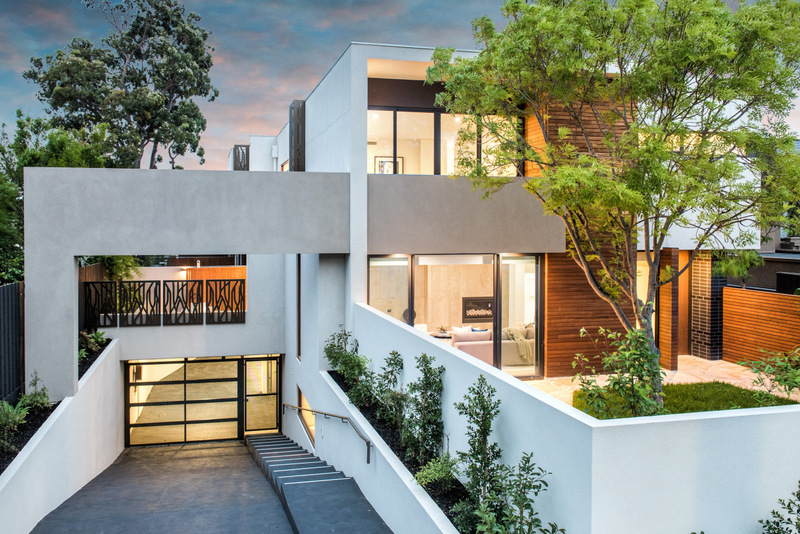 KWD describe the townhouses as a "supeior blend of luxury and practicality". 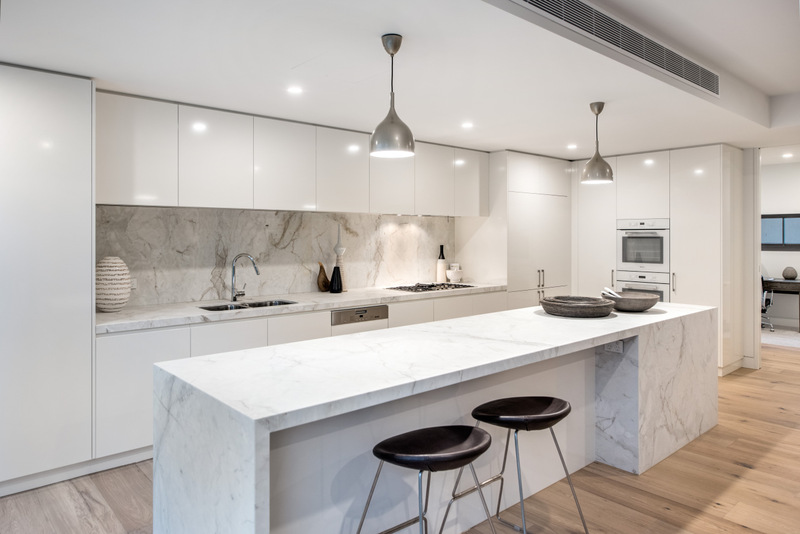 "The interior features include individual lifts, Miele Kitchen appliances, incredible marble bench tops, sublime Italian tiles, quality fixtures and fittings throughout and a bold fireplace. 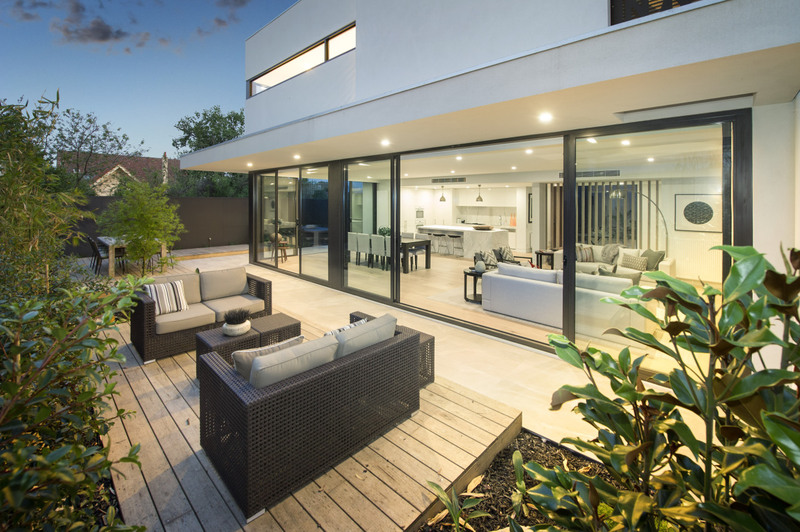 External property highlights include triple car garages and generous, private courtyards." 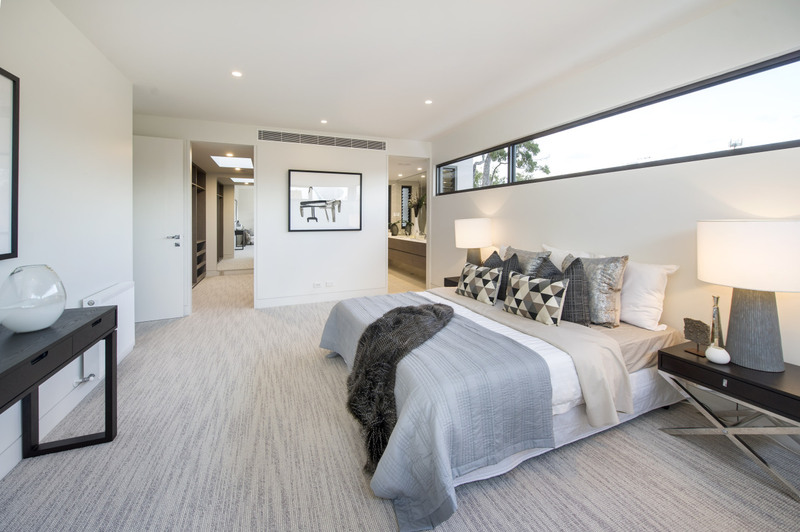 In the bedrooms, KWD specified our very unique carpet Kennedy Point in colour Picnic Bay. Kennedy Point uses Radford Felted Yarn which is exclusive to Cavalier Bremworth. Not only providing durability and softness (with the addition of lambswool), its unique structure is given more interest by a felted colour slub which creates a random striated effect. The result is absolutely stunning to the eye and creates a real feature on the floor - contrary to many plainer carpet choices that are very popular in contemporary homes. KWD also specified the beautiful European Engineered Oak floorboards in White Oil. 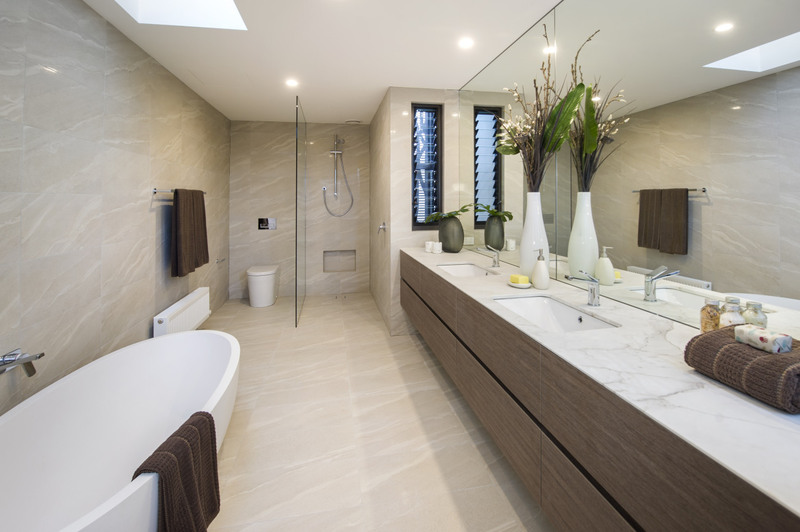 "They ooze sophistication whilst blending perfectly with the bright and spacious setting. This type of flooring is also of the highest quality and will withstand years of heavy traffic" - as will our lovely carpet! If you're currently renovating or building and you'd like to order a sample of Kennedy Point, please click here or visit your local retailer. If you'd like to contact Kate and her team for interior design inspiration or help with your next project, please click here.